Located in East Fort Lauderdale, Tranquilo A North Beach Village Resort Hotel is adjacent to Bonnet House Museum and Gardens and within a 5-minute walk of other popular sights like Fort Lauderdale Beach. This 80-room hotel welcomes guests with conveniences like an outdoor pool, free in-room WiFi, and laundry facilities. A flat-screen TV comes with cable channels, and guests can stay connected with free WiFi. Other standard amenities include a refrigerator, a hair dryer, and a safe. Guests of Tranquilo A North Beach Village Resort Hotel enjoy features like an outdoor pool, free WiFi in public areas, and laundry facilities. Self parking is offered for USD 10.00 per night. The 24-hour front desk has multilingual staff ready to assist with luggage storage, securing valuables, and tours or tickets. Additional amenities include wedding services, barbecue grills, and a picnic area. 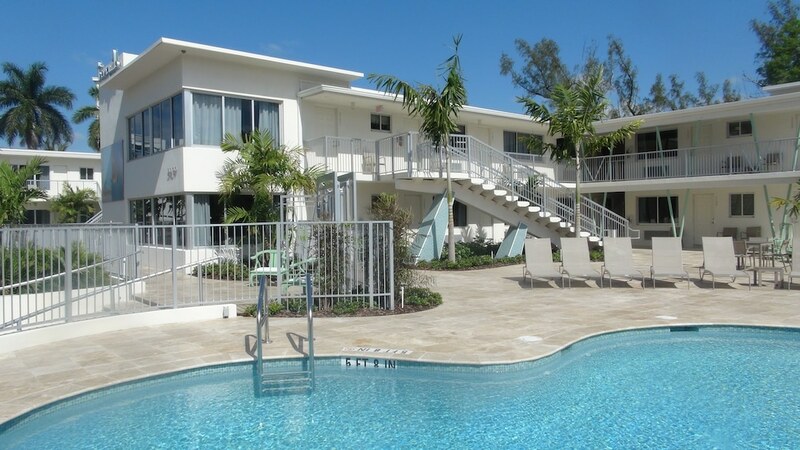 Tranquilo A North Beach Village Resort Hotel features an outdoor pool, tour/ticket assistance, and barbecue grills. Public areas are equipped with complimentary wireless Internet access. This Fort Lauderdale hotel also offers multilingual staff, a picnic area, and laundry facilities. Parking is available onsite for a surcharge. Tranquilo A North Beach Village Resort Hotel offers 80 air-conditioned accommodations with safes and hair dryers. Flat-screen televisions come with cable channels. Bathrooms include bathtubs or showers. Guests can surf the web using the complimentary wireless Internet access. Housekeeping is provided daily.